Where to go to enjoy Florida. The sunshine state is famous for its beautiful beaches, boasting nearly 1,200 miles of coastline, according to VisitFlorida.com. What better way to take advantage of all those rays than on one of the many gorgeous stretches of sand? If you’re looking for the best of the best, these are hard to beat. Frequently ranked among not only Florida’s top beaches, but the best in the nation, Siesta Beach located on Siesta Key, is spoiled with some of the softest, finest white quartz sands. Almost like flour, they remain cool to the touch, perfect for digging your toes into, even under that powerful Florida sun. The gently sloping beach is edged by turquoise waters that are clear and calm, ideal for swimming with lifeguards on duty all year-round. 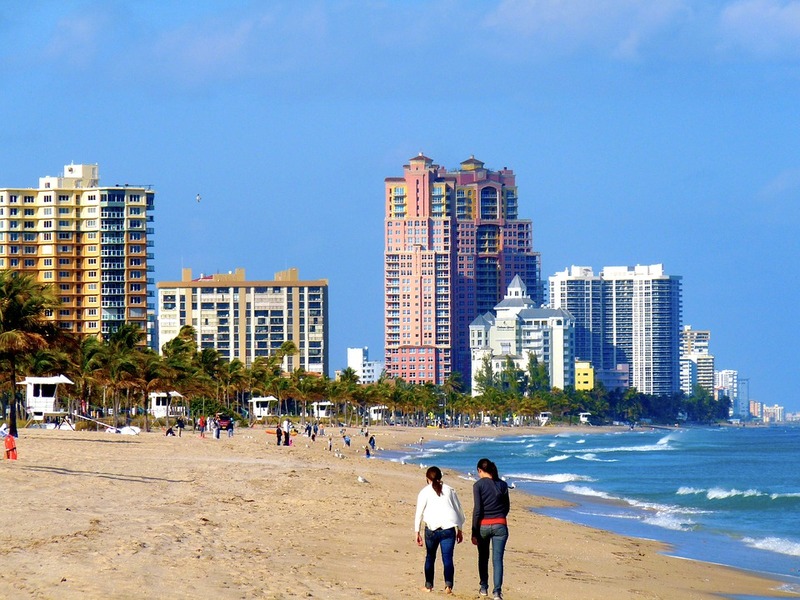 Fort Lauderdale Beach is surely one of the top spots in the state for soaking up the sun and the sand. Bustling with activity, lined with a wide range of eateries with oceanfront patios and hotels, it’s renowned for its people watching as a place to see and be seen. There’s plenty of room for beach activities on a vast expanse of white powder, and despite the crowds, there’s a laid-back chill atmosphere among those classic Florida beach views. Don’t be surprised if you find yourself enjoying this one so much that you start search for homes for sale in Fort Lauderdale, Florida so that you can take advantage of it anytime the urge hits. One of the most legendary beaches in Florida, Clearwater Beach also receives lots of accolades as one of the best beaches in the U.S. with its broad, sandy shores spread across a three-mile stretch of the Pinellas Peninsula on the Gulf Coast. It edges the azure Gulf of Mexico waters to the west and serene Tampa Bay to the east, offering the chance to search for shells as well as take part in all sorts of activities like parasailing, dolphin-watching cruises and beach volleyball, along with nightly live performances and sunset celebrations at Pier 60. The beautiful beaches of Pensacola aren’t nearly as crowded as most other Florida beaches, despite their powder sugar-like sands, emerald-hued waters and wealth of activities. By taking a stroll out on the pier you can indulge in delectably fresh seafood and catch a glorious sunset too. Free outdoor evening concerts are hosted every Tuesday at the Gulfside Pavilion, and as the home base of the U.S. Navy Flight Demonstration Squadron known as the Blue Angels, you can even watch the skilled pilots practice their air show twice a week. Famed for its fabulous waves after being thrust into the spotlight by pro-surfer Kelly Slater, Cocoa Beach is an ideal place to be for those who enjoy the thrill of the ride, or just watching those who do. The sandbanks and rolling dunes provide the ideal spot for lounging, while the waterfront bars are a great place for kicking back with a cool drink and taking in the scene. One of the state’s favorite playgrounds, South Beach is the primary reason so many people come from across the globe to visit Miami. It’s a glorious beach mecca for tossing down a blanket and observing all manners of craziness, and frequently, exotic models that pose for the camera. Renowned for a mix of eccentric liveliness, big city vibe, and streets lined with pastel-colored Art Deco buildings, this is one beach that everyone should visit at least once in their lifetime.